If you don’t have the time you need to ensure the neat and healthy condition of your home use our professional services. The house cleaners who work in our company, based in London, can come as often as you require to do the necessary household and sanitising work. They are fully vetted, qualified and skilled in implementing professional sanitising and housekeeping. You will have more free time at your disposal and won’t have to bother about the domestic work if you use the services of our skilled house cleaners. Our cleaners will check the size and condition of the property and prepare you a quote that will suit your needs. They will come as often as necessary in your home to wash the tiles and bathroom appliances, mop the floors, sanitise the kitchen and dining area. Our staff will wipe the dust from the furniture, appliances and items, hoover under the beds. We offer regular cleaning of houses which ensures complete removal of the dust, grime, lime-scale, mould, cob-webs and dirt. 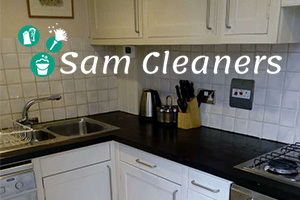 Contact us to book the sanitising of your home, located in London and our house cleaners will implement it. You can include many housekeeping chores in the service. Our house cleaners can provide the laundry, washing of the dishes, changing of the bed sheets, grocery shopping and other tasks. They can do the necessary work at a convenient to the customer day and time as often as it is demanded. Schedule a meeting with our proficient house cleaners who work in the London territory. You can use our customer support centre and booking form to specify your demands and get a free and no-obligation quote. Our services are customer-focused and offered at competitive rates.